Outdoor activities include swimming, bird watching, boating, canoeing, fishing and plenty more, while rainy days will see you in restaurants and shops, viewing wildlife and the amazing scenery on the many drives. For an adrenalin rush in the water, go shark cage diving at Mossel Bay or Blackwater Tubing at Stormsriver. Watch the dolphins and whales play along our coastline. Paraglide in heaven – soar above the coast and have a birds-eye view of this beautiful environment. Enjoy one of the many Nature Reserves in and around the Knysna area. George offers you the opportunity to go back in time and experience the old railway history of Southern Africa at the Railway Museum. Indulge in fresh Oysters from the Lagoon and visit the local brewery. Take a trip through to Oudtshoorn and experience the Cango Caves. Whilst still in Oudtshoorn visit the magnificient Cango Wildlife Ranch. Cycle on the many biking trails through the local forests. Shop till you drop in the many unique shops in Knynsa – The Waterfront, Woodmill Lane and Main Street are just some shopping venues. 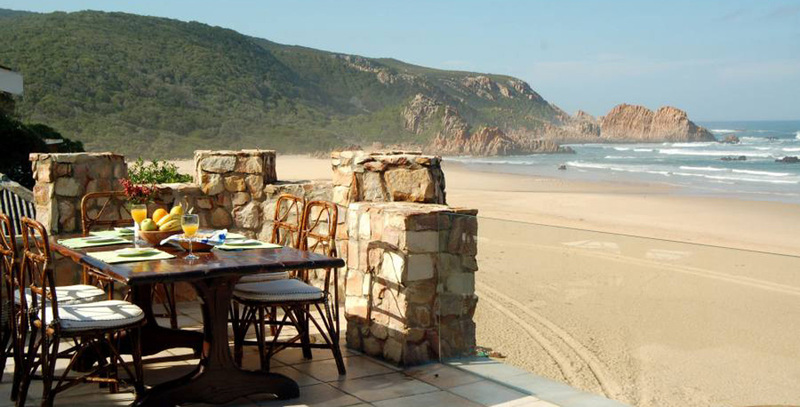 There is a wide selection of Restaurants, Coffee shops, Pubs & Grills, Pizzerias and Farm stalls in and around Knysna. Weekends are famous for the many markets in the area – from Sedgefeild to Hakerville and Wilderness.